In a long-standing conflict between the United States and Russia, this time German companies will have to face the ire. The United States has warned German companies involved in the Russian-led Nord Stream 2 gas pipeline that they may face sanctions if they choose to continue with the project. US president Donald Trump has accused Germany of being a captive of Russia as it is heavily reliant on Russian energy and urged German companies to stop work at the earliest in the $11 billion gas pipeline project. The pipeline since its plan formulation days has been criticized heavily as it will pass through Baltic Sea direct from Russia to Germany. It would bypass Ukraine depriving the country of lucrative gas transit fees. This may make Ukraine more economically vulnerable. 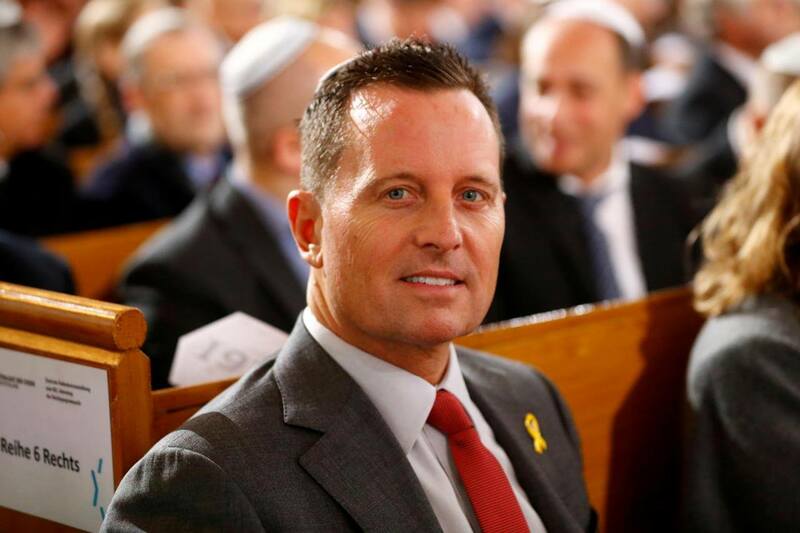 US Ambassador Richard Grenell has sent letters stating the same to various companies, as per the Embassy’s statement. The Embassy spokesperson said the letter reminds that any company operating in the Russian energy export pipeline sector is in danger under CAATSA of US sanctions and also added that other European countries had opposed this pipeline. Germany along with its allies in the whole Europe alleged that the United States by using its Countering America’s Adversaries Through Sanctions Act (CAATSA) is trying to influence the country’s foreign and energy policies. The Russian giant Gazprom is implementing the project along with western partners Uniper, Wintershall, Engie, OMV, and Shell. The letter has created much talk in the Chancellor’s own Government. As per the sources, Chancellor Angela Merkel will direct take this issue with Washington as the ambassador’s letter did not follow the common diplomatic practice. Juergen Hardt, the foreign policy spokesman for Merkel’s conservatives in parliament, said that the US ambassador’s direct threatening letter to the German companies is not acceptable. The letter demeans the tone of the transatlantic relationship. He also added that if the United States President wants to act tough on Russia in public, instead of targeting German companies he should first clear the air above his alleged relationship with the Russian regime. The German companies that have received the letter denied making any official comment on the whole issue. However, German and Russia also did not share a good relationship after Russia’s Crimea accession from Ukraine in 2014. But, both the countries had to advance the plan as they have common interests in the Nord Stream 2 project, which has the capacity to double the load of existing Nord Stream 1 route. German newspaper Bild am Sonntag reported that the letter from the Ambassador would only help Russia to have leverage on the gas pipeline project in future. As per the spokesperson in US embassy, the letter is a coordinated effort by several US government agencies; it was never meant to be a threat letter but a letter stating the US policy clearly. German Foreign Minister Heiko Maas said that the US sanctions on Nord Stream 2 pipeline project would be a wrong step for solving the dispute. The United States should stop meddling in the internal affairs of the European Countries and let the European countries decide their own energy policy.